Count on us for the quality concrete mix that is perfect for your project. It is one thing to handle mixing and pouring concrete if you have a few fence posts to put in or a single step at your back door. However, if you have a larger project, such as a driveway, sidewalks, foundation wall or patio, concrete delivery is the best way to go. 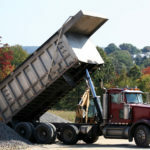 Here at Flesherton Concrete Products, we understand that a project can be severely compromised by either poor quality concrete or not hitting the delivery time properly. Our attention to quality and dedication to customer service assure that your project will go as planned and you’ll love the results. We offer both standard concrete for most project requirements and recycled concrete used for a road base, so you have a choice for your upcoming project. If desired, we can also make the calculations for you so that the right amount of concrete is delivered. We’ll go over your delivery options, as well, so you can keep within the time frame in which the mixed concrete is viable. This will enable you to have the team on hand you need to get it all into place in the required window of time. We’re happy to answer your questions about different concrete mixes. You can be assured that we will provide the right concrete mix for your project, whether you are doing footings, walls, floors, sidewalks, barnyards, sonotubes or something else. If you have any questions about concrete or any of our other products or services, don’t hesitate to contact us. We have proudly served the Owen Sound, Ontario area since 1985, and we are confident you’ll find us to be your best option for your project.